When integrating a rechargeable battery into a professional application, especially into a mission critical medical or military device, the first things that come to mind are reliability and safety. 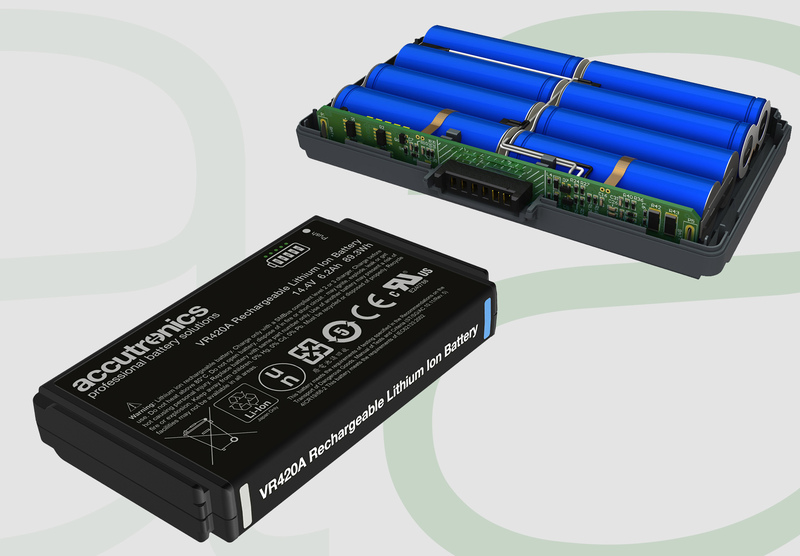 However, there are many other factors designers need to consider throughout the various stages of custom battery design. Many design engineers believe that, as its power source, the battery is the very heart of the product. However, I would go even deeper into the core of the battery and argue that it is the cell that is the nucleus of the battery, determining the performance, lifecycle and durability of the application. There is no such thing as a typical battery design project. This is partly because bespoke power sources are used everywhere from hospitals to manufacturing plants and military operations. Some customers might be looking for high energy capacity, whilst others might need low temperature performance, high availability, a longer cycle life or a specific battery size. In other words, finding out exactly what you want the battery to do for your piece of equipment is crucial to the success of the design. One fundamental guideline is to decide whether the battery has to withstand extreme conditions such as freezing temperatures, scorching heats, humidity or dirt. In order to guarantee efficiency, we select only the type of cells that are suitable to these conditions. In these instances, the electronics need to be programmed differently to cope with the various environments, while the physical characteristics of the battery need to be robust enough for the given extremes. Intelligent cell selection can also help ensure the future availability of the battery, which means the cell can be replaced if a superior version becomes available. This guarantees a longer life-cycle for your battery and helps alleviate obsolescence related issues. The physical characteristics of a battery, such as its size, durability and weight, also play a crucial part in its design. Similarly, performance characteristics such as efficiency, reliability and availability are also essential. For instance, portable medical devices might require a high tolerance to vibration, so that they can be used while transporting patients by helicopter. Achieving this is a matter of managing the physical and performance characteristics simultaneously, which is no mean feat. Another important factor to consider, and one that applies to the integration of all sub-assembled components, is the availability of parts and their potential obsolescence. For this reason, engineers should avoid designing-in off the shelf consumer batteries. Our experience has shown that these are poorly supported technically and very likely to become obsolete quickly. Simply choosing a customised industrial or professional battery, designed with your application in mind, guarantees you a lifetime of support. Once a battery prototype has been developed, the final stage is to certify that product for use, from both safety and performance perspectives. Accutronics normally manages the entire approval process on behalf of its customers. Each battery design undergoes the appropriate safety testing from, for example, the IEC (International Electrotechnical Commission), the UL (Underwriters Laboratories), as well as the IATA (International Air Transportation Authority) and military standards testing from MIL (The US Department of Defence Test Method Standard for Environmental Engineering Considerations and Laboratory Tests), if relevant. It is clear why the battery is the very heart of many military, medical and industrial electronic devices. We might also argue that it is the quality of the design process which ensures the heart will continue to beat during the lifespan of the OEM’s device. Michele Windsor is direct sales and marketing manager at professional battery manufacturer Accutronics.